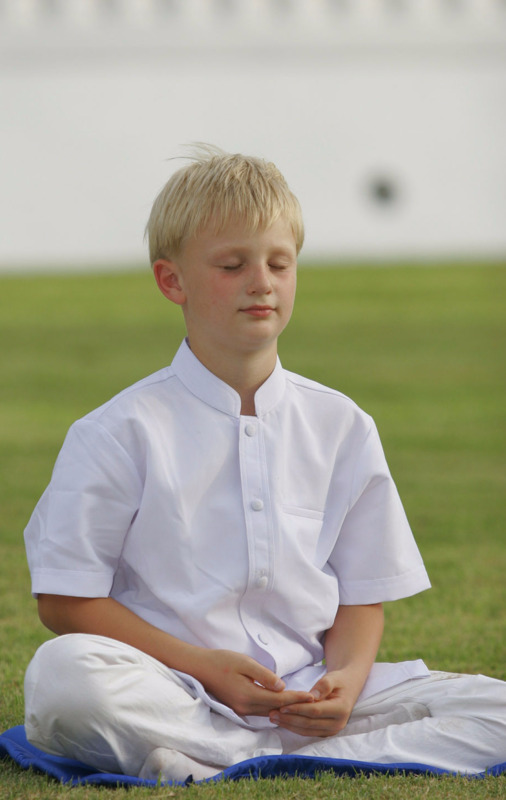 Through meditation, children can learn to know themselves better by observing their feelings, thoughts, and mindset to gain better control over their body and emotions. In today’s world, attention spans are growing ever shorter as children find themselves pulled in many directions at once. Through the lessons taught in our children’s books, we introduce kids to a new way of seeing themselves, improving their concentration, focus, memory, creativity, and intuition. Meditation is a skill that promotes mindfulness, not just in their meditation practice but also in their daily lives. Read below for benefits of meditation. "Why do you meditate?" we asked a group of 5 and 6-year-olds at the Instilling Goodness Elementary Schools. Their responses include: "So you can relax." "To clear out my mind." "It helps your body make it healthy." We talk with kids about meditation and Bhikshuni Heng Yin about efforts to teach meditation in schools. A recent article on forbes.com hightlighted the benefits of meditation in children. Studies showed training in mindfulness, significantly reduced hyperactive behaviors and improved concentration. Afterschool programs consisting of yoga and meditation helped kids feel happier and more relaxed. one study found that mindfulness helped kids during high-stakes testing, by reducing their anxiety and boosting working memory.